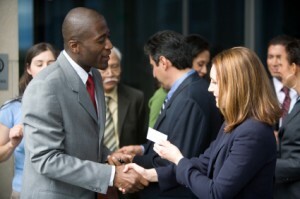 How can I overcome my fear of networking? Home > Career blog posts > Networking > How can I overcome my fear of networking? Does the thought of entering a crowded room filled with strangers make your palms sweat? Networking is a fear many people share. Some would say it’s one of the worst steps of finding a job. However, it’s also one of the most valuable ways to get job leads and advance your career. Whether it’s getting freaked out by small talk or the fear of forgetting someone’s name, networking can be a scary thing to do. If you’re feeling spooked by networking, here are some tips that can help you become less fearless and more confident.